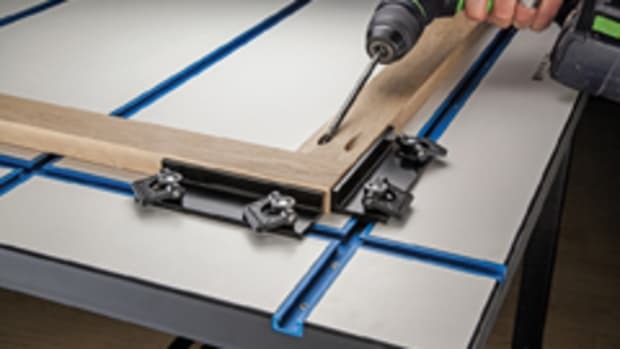 Rockler Woodworking and Hardware had a lot of activity in its small booth at the AWFS fair in Las Vegas, as attendees lingered to learn more about several new shop accessories introduced at the biennial woodworking show. 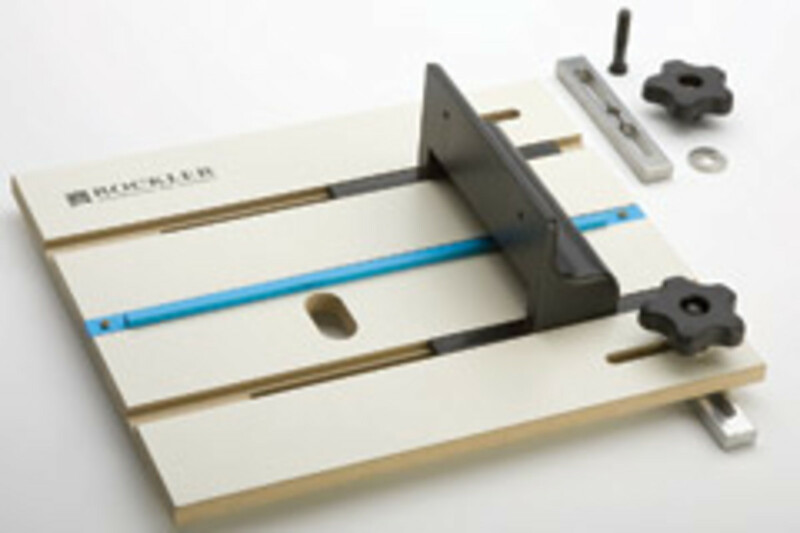 Rockler has high hopes for its Router Fluting Jig for routing consistent flutes with even spacing. "The jig really improves the entire fluting process. 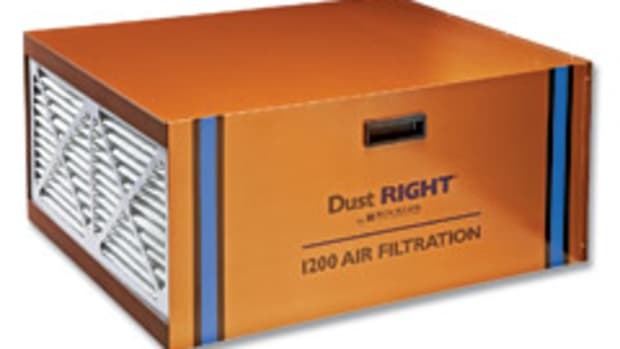 It makes things far more intuitive, faster and repeatable," says Steve Krohmer, vice president of product development. 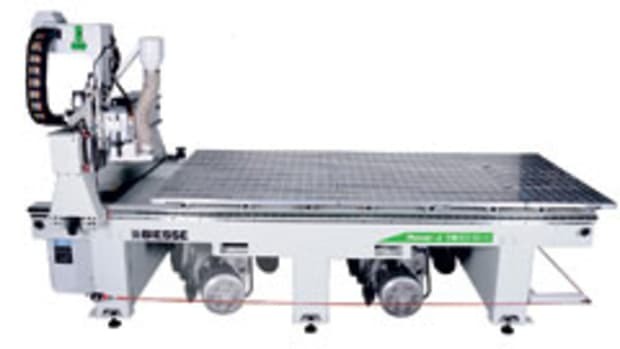 Two low-friction, underside rails straddle the workpiece, allowing the jig to slide smoothly along boards up to 8" wide. The router mounts to a pre-drilled acrylic centerpiece, which slides laterally to rout out the flutes. Scales on the centerpiece and writable/erasable indexing surfaces assist with the setup. The jig sells for about $70. 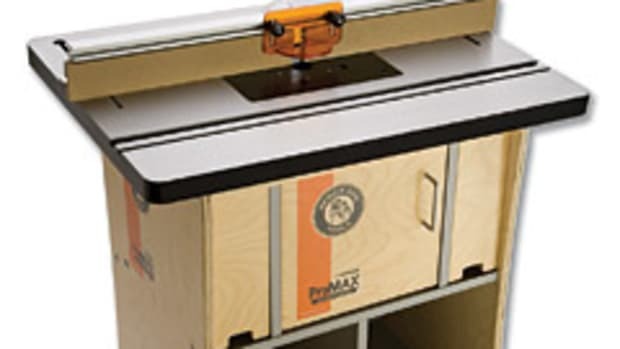 Rockler&apos;s new Router Table Box Joint Jig is a timesaving solution for cutting perfectly spaced box joints on a router table, according to Krohmer. 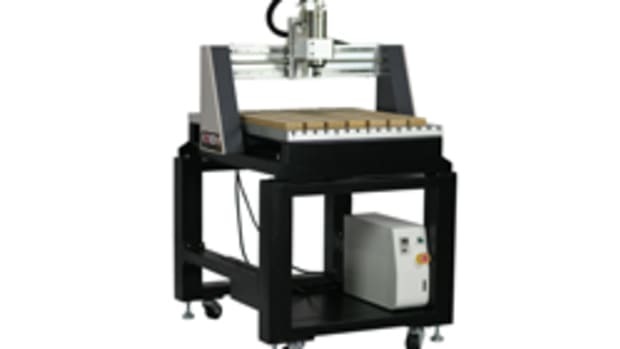 "The jig eliminates the hassle and guesswork of machining the joints on a table saw. 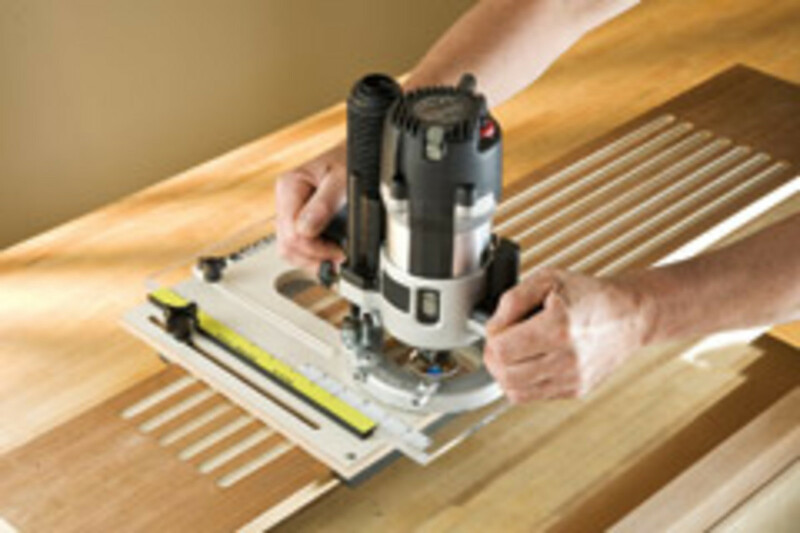 Instead of setting up an expensive stacked dado set, adjusting and re-adjusting the fence, and finally trusting a miter gauge to maintain accuracy, this jig lets woodworkers cut notch after notch continuously with almost no measuring, minimal setup and incredible precision - all with a standard router bit and table," he says. 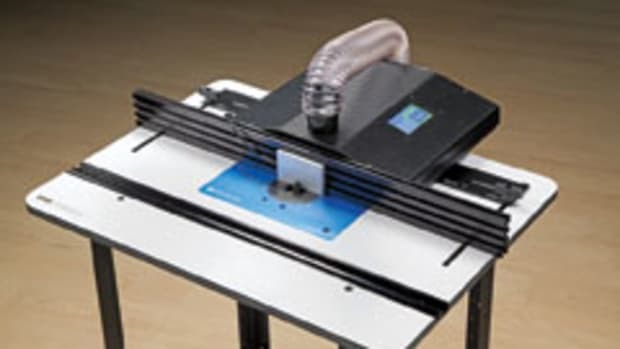 Capable of producing 1/4", 3/8" and 1/2" wide joints, the jig secures to any router table with a standard 3/4" miter slot. 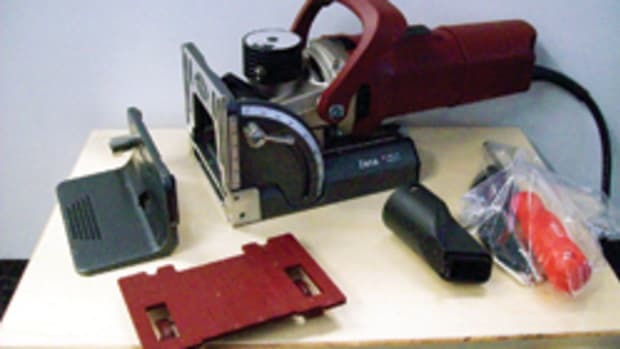 From there, setup simply requires attaching the desired bit and indexing key (the jig includes three keys, one for each joint width), fastening a sacrificial face to the pre-drilled backer sled and adjusting the jig into position. The Box Joint Jig works with stock up to 3/4" thick and sells for about $80.